Small details that make all the difference. Boasting a prime strategic location in Lisbon, in Amoreiras, a short distance from Marquês de Pombal and Avenida da Liberdade, the EPIC SANA Lisboa Hotel the ideal place to stay when visiting the capital, whether on business or on holiday. The comfort of its rooms and a service which is personalised down to the last detail raise EPIC SANA to much more than an hotel. It's an experience you will wish to have again! 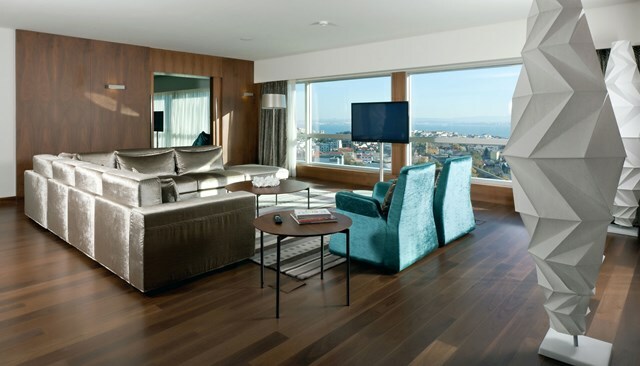 The hotel facilities include 2 restaurants with different concepts: the Scale Lobby Bar and, on top of the Hotel, the Up Scale Bar with its infinity pool crown the EPIC SANA Lisboa Hotel. Reservations for the Conference will be made by individual attendees directly with the EPIC SANA Lisboa Hotel reservations department by calling the hotel directly at + 351 211 597 300, over the internet using this online link, or you can submit the following form by fax + 351 211 597 301 or email rsv.lisboa@epic.sanahotels.com. A credit card guarantee of a deposit equal to one night’s accommodation is required to confirm an individual’s reservation dates requested at the time the room is reserved. Upon check-in, the deposit will be applied to the first night’s accommodation of the reserved stay. Hotel will NOT hold any reservations after 6:00pm. Children age 18 and under stay free when sharing a room with a parent and using existing bedding. All room rates above are confirmed for 2018 and quoted in Euros, per room, per night, and are inclusive of breakfast and all taxes, EXCEPT the 1 Euro per person, per night city tax (or maximum 7 Euros per person, per stay). In case of change in the current VAT, the accommodation rate will be adjusted accordingly. Any room reservation confirmed and guaranteed by AN INDIVIDUAL and not claimed by midnight on the arrival day (No Show) will be cancelled and billed to the individual credit card provided to guarantee the room reservation and WILL be charged for the entire length of stay. Individual Guest room deposits will be refunded if reservations are cancelled prior to seven (7) days (or 168 hours) prior to scheduled check-in date. Non-cancelled room reservations (those that do not have an appropriate cancellation number) or reservations cancelled inside seven (7) days (or 168 hours) prior to scheduled check-in date will be charged in full for their entire scheduled length of stay.